We become what we think about. Comments on: "Earl Nightingale Quotes: We become what we think about." We are all self made but only the successful will admit it. 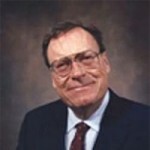 Earl Nightingale was an American motivational speaker and author, known as the "Dean of Personal Development." He was the voice in the early 1950s of Sky King, the hero of a radio adventure series, and was a WGN radio show host from 1950 to 1956. Nightingale was the author of the Strangest Secret, which economist Terry Savage has called “…One of the great motivational books of all time“.